In Wednesday’s “Site Lets Cyber Spenders Donate Dough,” it was incorrectly stated that FundIt.org gives 100 percent of its merchant commissions to designated nonprofit organizations. FundIt.org retains 20 to 30 percent of the commissions it receives to cover its operating expenses. 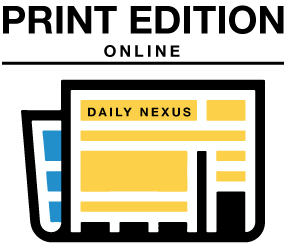 The Daily Nexus regrets this error. After more than a year of planning, FundIt.org, a Web site which helps fund nonprofit organizations in Santa Barbara, was launched Wednesday, Nov. 10. FundIt.org, which was co-created by Harry Weisbart and his wife Judi, allows online shoppers to donate a portion of the money they spend at any of several well-known online retailers to a local nonprofit group of their choice. After first choosing which local charity they would like the money to benefit, visitors to the site are able to pick from a list of online merchants and can see what percentage of their purchase will be donated at each site next to the retailer’s name. According to the Web site, shopping through FundIt.org is no different – and does not cost more – than shopping directly through the retailers’ sites, except that the retailers pay FundIt.org a commission on all purchases made through the site, 100 percent of which goes directly to the selected nonprofit group. Harry Weisbart said FundIt.org has been flooded with Santa Barbara organizations looking to join since it was opened Nov. 10. Notable groups such as the Fund for Santa Barbara, Surfrider Foundation and PUEBLO have already joined, and more are signing up every day, he said. “We’re getting lots of traffic – more than expected – but everything’s working great,” Harry Weisbart said. 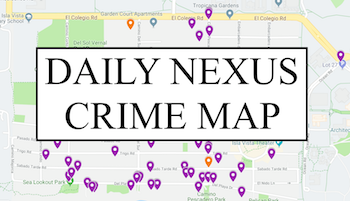 The site, which was designed by the Weisbarts’ son, Adam, is currently receiving about 200 hits each day, but Harry Weisbart said he expects the number of shoppers to increase dramatically once word spreads throughout Santa Barbara. He said it is still too early to estimate how much money FundIt.org will be able to raise. Web site. She said FundIt.org benefits both the retailers on the site, who gain an increased volume of sales, and the nonprofit groups who register by providing them with an extra source of funding. “This was a marriage of commerce, technology and heart,” she said. FundIt.org’s unique way of gathering money for charities around Santa Barbara creates opportunities for regular shoppers to help out the community, Judi Weisbart said. “This way, the average SB consumer can choose where their money is being donated to” she said. Although there have been similar programs started in the past that worked much like FundIt.org, Harry Weisbart said this is the first time this sort of program has been instituted on a community basis. SchoolPop.com works with schools nationwide and IGive.com works with retailers and charities across the country much like FundIt.org works with the Santa Barbara community. Harry Weisbart said FundIt.org’s focus on local organizations gives people the opportunity to donate to charities that do not get national attention. He also said the smaller size of the program allows FundIt.org to donate 100 percent of the money that the companies give back to FundIt.org. By comparison, he said, other nationwide organizations need to keep some of the donations to help pay for overhead and administrative costs.